This was one of those moments when you see a great image coming and you hope you can capture it. This young mother, her child, and a friend were riding the trolley through Boarding House Park in Lowell. The trolly tracks run behind the stage. I was there for the Banjo and Fiddle festival. 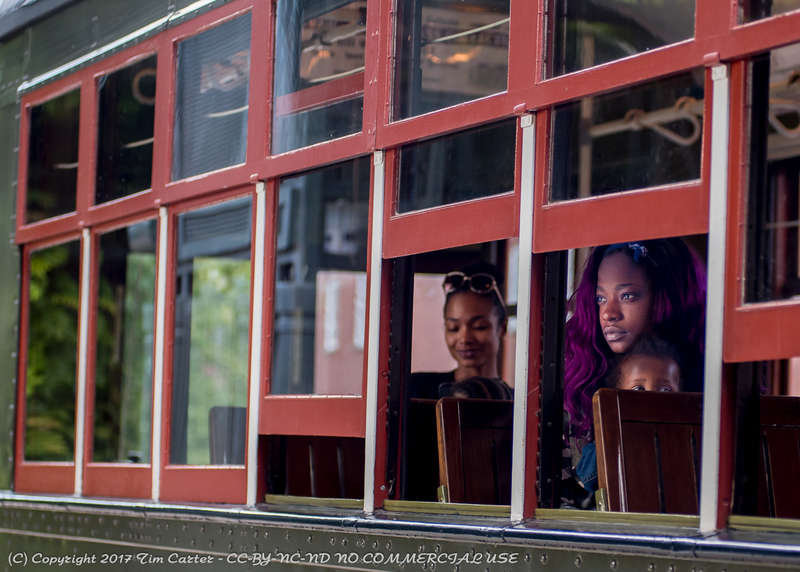 I was backstage shooting some of the artists when the trolley comes running through and this scene presented itself. It is becoming one of my favorite images.